Keeping with the theme of personalized gift tags that Stef started, I dressed up my presents this year with monogrammed tags. If Stef’s tags were perfect for the wee illiterate, mine are just a tiny step forward – equally charming for eager toddlers as they are for adults. And the best part is that they’re super easy to put together! 1. 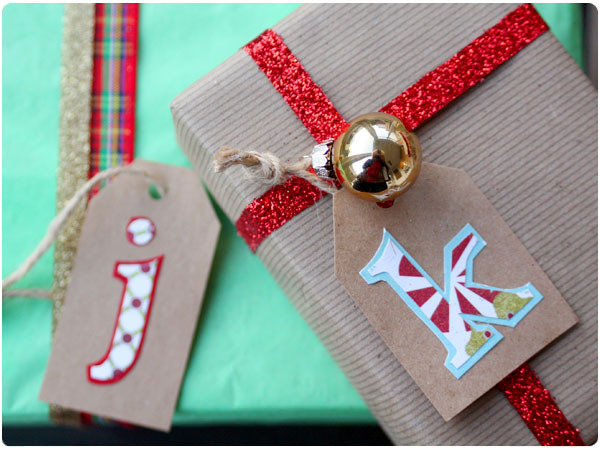 Choose your favorite bold font and type the letters of your gift recipients into a Word document. I used Book Antiqua in size 150 pt. 2. Print off the pages of letters and cut them out. 3. Flip the letter over so that it appears backwards on the side of the paper that you don’t want to show. This will prevent smudgy pen or pencil marks on the “good” side when the letter is flipped over and oriented correctly. 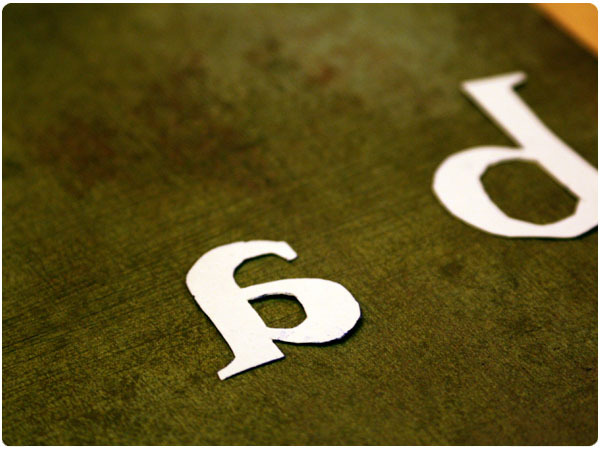 Cut out the letter using a scissors and an Exacto knife for inside spaces. 4. If you wish to have another color or pattern as an outline, repeat by tracing and cutting slightly larger than the edges of the actual letter. 5. 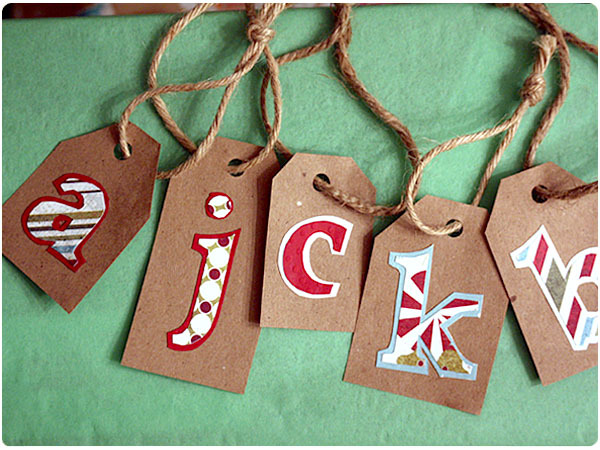 Use a glue stick to affix onto cardstock or kraft paper tags. 6. 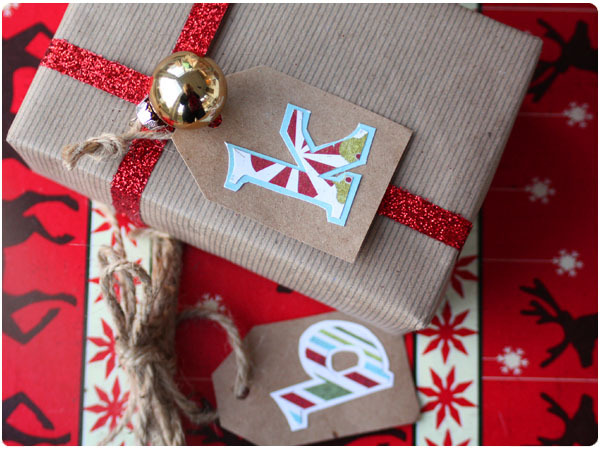 Using a hole punch, punch a hole in the top of the tag and tie twine through. HAP Holiday: Cookies, Wrappings and all the Trimmings!